Benay: [00:00:00] Welcome to Coach Pep Talk, the podcast for people who run their own Coaching businesses. Each week I talk to an expert who shares wisdom that helps us be better Coaches and better Coaching business owners. 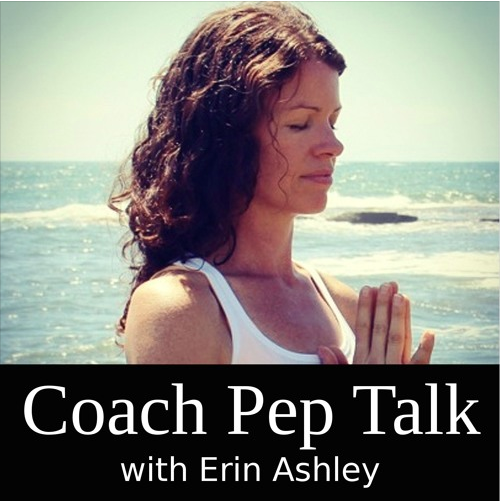 This week I’ve got mindfulness yoga and meditation teacher Erin Ashley on the line. She’s talking to us all about how we can center and ground our self right before our next coaching session. I’ll see you on the other side. Benay: [00:00:26] Coach Pep Talk is proudly brought to you by Life Coach Office. The one-stop-shop software for managing your Coaching business completely online. Life Coach Office is perfectly suited to the single Coach Coaching business. The more boutique type coaching businesses with Coaches who are actually working one-on-one with clients or maybe even with groups. It’s got everything you need from a place to host your classrooms and your online courses, through a resource library for your clients, through to a Coaching journal for all of your great sessions together. The best way to know if Life Coach Office is a great fit for your Coaching business is to jump on and give it a try. You got a free seven-day trial and all you need is an email address to sign up. Check out Life Coach Office at LifeCoachOffice.com and sign up for that free trial and let us know how you go. Benay: [00:01:14] I feel deeply honored today to introduce you to my mindfulness, yoga, and meditation teacher Erin Ashley. She has been practicing yoga for 20 years and she teaches live yoga classes, mindfulness and meditation workshops and she travels nationally and internationally to share her Transforming Stress into Peace programs. She also offers private one-on-one Coaching and group sessions on request only and has got plenty of online offerings on her website. Erin’s got an amazing story which we go into and she shares with us in this interview. And I think that she sums it up really well in this in this quote, “When you spend time with yourself through yoga and meditation, you get to know your true authentic nature, physically, energetically, mentally, emotionally, and spiritually. Then when you make time to nurture the relationship you have with yourself, you start operating life in a way that keeps you inspired in your spirit. Only then does your relationship with life itself and the people in it thrive.” And that has certainly been my experience in my work with her so far. I’m very excited to introduce you to this beautiful woman, Erin Ashley. Benay: [00:02:25] Hello Erin and welcome to the show. Erin Ashley: [00:02:27] Thank you Benay. Benay: [00:02:29] It’s awesome to have you here and I love the topic that we’ve come up with. Well you have come up with and I’ve said yes, Yes great idea. Today, three ways to center and ground yourself before Coaching. Erin Ashley: [00:02:41] Yeah this is really important as a Coach or whatever your line of work is. If you’re working with other people, it’s likely that while you’re either going from client to client and you haven’t got much time to have a break in between. And so how do you ground and center yourself to be ready for the next client. Or you might be, have a lot of stuff going on in your own life and you need to be in a clean space to be able to serve your clients, so yeah that’s why I was really keen to share this topic with you today. Benay: [00:03:16] Yeah I’m excited I think I’m gonna get a lot out of it too. I mean I’ve gone from meeting to meetings, this is already my second podcast and I don’t know how many meetings for today. So even just you know I hope these techniques I can use before going into a podcast you know, it’s similar. I’m still you know having a really important meaningful conversation. So you need to be on in your in your center and grounded to get the most out of your time in these things. Benay: [00:03:41] So I wanted to kick off today with a question for you and I’d love for you to share with our listeners what inspired you to start practicing and then teaching mindfulness? Erin Ashley: [00:03:57] Great question and it’s been such a profound experience in my Life. So thanks for giving me the opportunity to share it. It’s been part of my life ever since I was about 20. So I was a uni student and found my first yoga class and just walked out of that yoga class just feeling you know amazing, like relaxed and blissful. And that was really the beginning of my practice of yoga at 20. And so along all of my uni days and then travels and career changes, I ended up becoming a marine scientist and then working as an environmental planner and did a lot of stuff over in the States and I bartended while I was over there. So all of these different career paths in my life, found my husband in Miami and got married and we had two children. Alongside all of these Life experiences and changes yoga was the one constant thing that helped me to his stay really grounded and centered actually. And I’d always return to the mat. Reset. Feel great you know and tap back into myself and then operate back out in life from that space. And then after my husband and I had had our second baby, we woke up on a day like any other and our second baby was about nearly four months old, and we went to the local shopping mall to just pick up a couple of things. And we were walking side by side and all of a sudden I just felt this heavy hand on my shoulder. A really strange sensation and I looked around and my husband was falling to the ground and he had our baby strapped onto him, you know in one of those baby carriers, and he was already sort of falling to the side so we wouldn’t fall on our baby, but I could tell that he was already gone. You know he’s I couldn’t look into his eyes anymore. What happened after then just tipped my world upside down because we had first aid straight on the scene trying to bring him back to Life. Paramedics arrived. We got to the hospital about half an hour later on. I was brought into a room and told that my husband was dead. And so, this day tipped my world upside down. And this was really a pinion, uh what’s the word, a very strong moment in my life where I’ve really had to call on all of my resources to remain calm you know or to manage the stress that I was facing and the grief that I was facing. And after autopsy and medical testing and genetic testing they never found an answer for why he had died. And so it was only a few months later after he died that I returned to the yoga mat and mindfulness is a big part of yoga. It’s, you can’t do yoga without practicing mindfulness. You know it’s all about becoming present and getting back into your body and your breath and so forth. And that’s what yoga does. And meditations wrapped up in yoga and mindfulness as well. So returning to the mat and the practice of yoga, mindfulness, and meditation just was the beginning of my healing journey from that experience. And I gained so much benefit from being consistent with it over the next year or so, that I just knew that I had to bring this to the forefront of my life. And then one day I thought this is my passion and I’ve discovered how amazing this is and I now want to go on and teach it to others and inspire others and show them too how they can get through adversity as well. So that’s really how I came to become a mindfulness Coach, yoga, and meditation teacher. I can, you know my husband that died has left me with many gifts and realizations and that’s been a big one. Benay: [00:08:08] Wow. It’s such a powerful story Erin. And how you managed to Yes, stay so graceful and calm and find such beauty in such an extreme event. I think that in itself is just so inspiring and beautiful. So thank you. Erin Ashley: [00:08:29] Yeah. You know Benay and that it has been another gift of as well of that kind of experience in that realizing that life is limited. And I saw it happen before my very eyes. You know beautiful, fit and healthy you know, dad of two. Beloved husband dropped dead. Like one moment we’re talking next minute he’s not there. Like his life is there and then it’s not. And this has been a massive gift that you know, it is limited and reminding me of that. What is my passion and what is my purpose? And let me bring that forth into my Life. You know it was a real lever for me to find the best expression of myself again and that’s what I’m hoping to help others do as well on this call. Benay: [00:09:18] Well and I know just already from our interactions and the courses that I’ve done with that you know your combination of mindfulness and yoga and movement is just phenomenal. And the thing that I love about your work is it’s not hard. It’s easy, but it’s so essential and important. I don’t know if I’m mincing my words here but it is just so beautiful and my body just feels amazing after. Erin Ashley: [00:09:48] I’m so happy you get so much out of it. And that’s a common feedback that I get actually. Like that it’s a gentle experience and you know soft and nurturing experience yet, Yeah, All the right bits have been worked and processed. Benay: [00:10:06] Oh yes something. Yes. Anyway. OK. So let’s turn this around now and let’s get to our listeners here. They’re sitting her, they were just heard this amazing story, and why you were called to do this kind of work. And you know sitting there as a as a Coaching business owner and thinking Oh man I you know I need to maybe start being more mindful or start being feeling more centered or being more present for my clients. Can you tell us a little bit about why this is, First of all so essential especially if you’re a Coach? Erin Ashley: [00:10:43] Yeah absolutely. So you know, being mindful is really about just being aware and paying attention. Like it’s that simple right. But sometimes it gets a little bit complicated because we bring our past into the present moment with us. So like whatever experiences you’ve had before now in your Life and whatever beliefs you’ve had before now in your life it’s kind of set you up for how you operate today. And sometimes it’s not in a clean space, so there might be a lot going on in the mind in the sense of thoughts and thoughts trigger feelings. So you know they can be a mix of emotions going on at any one time. And for example that experience that I had with my husband dying really that’s just a reflection of one kind of change that can happen in life. So in your day as a Coach you know, change that can happen in your day can come in the form of an unexpected email or the phone won’t stop ringing or you know if you’ve got kids, something happens with the kids or the pets or there’s so much that happens just in our every day to day lives that can shock us and take us off center and off track you know the way that we thought the day was going to go. And so this you know mind… These three ways that I’m going to share with you today to stay centered and grounded when you notice that you going off track. Really just help you to kind of collect yourself again, pay attention, that is being mindful. Mindfulness, the word actually means remember. So it’s all about remembering you know, getting back into you, back into your centered and grounded space, and then operating back out from that space you know. In the interactions with your clients and other people in your life. Even in relationships, these three tips are going to really help you to improve relationships with everyone else in your life as well. Benay: [00:12:44] Well I think that was just a beautiful introduction so I’m just dying to hear these tips. Please carry on. Erin Ashley: [00:12:52] Good. And you know before I go into them, you might have heard them before. Yet we always need a reminder and consistent reminders right? It’s like when you’re feeling off track and you’re off center and you’re going to a place of stress for example, like you just need to hear those things that help you to stay in your center. So let’s go. Benay: [00:13:15] Well I think on that; I mean I love it. I mean you know I went to Europe and Kurek’s workshop last night all about goal setting for the soul. Wonderful workshop. You know I have been teaching goal setting and visioning and all that so for years. But you know I went to that with an open mind and listening for the distinctions. You know the differences. What I had you know, wasn’t ready to hear before. And man I heard lots more great stuff. So I think even when we hear things again we’re always a different evolving person so we’re ready to hear it on a new level. Erin Ashley: [00:13:46] Yeah absolutely. Benay: [00:13:48] So now let’s go! Erin Ashley: [00:13:49] Right. Well okay three ways to center and ground yourself before coaching specifically or you can use this at any time in your life of course. And so the first step is to get into a breath. And so you might have heard, you know just breathe and you know like, relax, calm down you know all those commands. Yet it seems so simple, yet this one focused attention on the breath can really quickly change where you’re at. So the breath is really our energy barometer, in yoga we call it Pranayama and it really is the entrance of like vitality and the Life force of you. It’s what’s keeping you alive right. The breaths in and the breath out. Without it you wouldn’t be here obviously. So you know you’ve always got your breath in your body with you. Your body wouldn’t be without your breath. So that’s why I’m focusing on the breath. And it’s not just any kind of breath that you need to focus on. So you know of course the body’s breathing all the time and you can trust it to do that until you know your expiry day. Yet there’s quite a mechanical way that we can breathe when we’re not reigning our attention in on to the breath. And so you might do with me here as you’re listening to the call. And even if you’re in the car this is fine to do. This isn’t going into a meditation or anything like that. And so just wherever you are whatever you’re doing just notice the breath in through your nose for a moment. Just notice the entrance of the air at the nostrils. And then just notice the breath out. I heavy breathed there and I hope you were too your, heavy breathing with me. That’s just one breath in and out. And it’s like a couple of seconds that you notice it and when you notice it it’s with a bear awareness. You’re not judging it. You’re not thinking am I breathing right? Or even if you’re thinking that then you just you know don’t get hijacked by that thought. Just notice how the breath being experienced in the body. You know I directed you to the nostrils. So that’s a great place to start. Notice the breath in the nostrils and the breath out at the nostrils. Something as quick as three conscious breaths, just like that just before you go into your next Coaching session or just before you’re about to go back and talk with your partner after a heated discussion or just before you’re about to go from one activity to the next. You know three conscious and aware breaths. Transformational. And so the breath can be used to either you know, pick up your energy you know we can use it, say imagine if you’re running your breath picks up the pace so that it can feed what the body needs in that moment as it’s doing that extra strenuous activity. And we can focus on the breath and bring our attention to it to also take a few gears back and wind down and relax and come out of stress and be calm and centered. And so I often share, I’ve got a three-minute breathing space meditation audio that I can share out with people. Three minutes like if you think three breaths has just changed your state, then three minutes even though it’s still a really short amount of time, it’s a really powerful way to spend three minutes just to get it back into home base. Benay: [00:17:34] It’s amazing that that something as simple as even just three breaths actually can completely shift your state. Erin Ashley: [00:17:41] Yeah. And it’s not just the three breaths too, as I mentioned it’s the awareness on the breath, on the three breaths. So there’s a really big difference. You know you can take your big breaths in and you know huff and puff it out and then just move forward. But when you’re actually conscious and aware that you’re breathing it’s a totally different presence. You know, you’re totally in your reality and the moment of what’s happening right now. The mind hasn’t got space to be replaying a story of what happened that morning or what someone else said or what your previous client was divulging and your minds hasn’t got time or space to think about what’s coming up. You know the next client or the shopping list or what I’m going to plan this afternoon or whatever it is it’s at snapping you right back into the now. Benay: [00:18:33] Beautiful distinction. All right. Anything else about breath before we move on to Tip Two? Erin Ashley: [00:18:39] That’s it for the breath yeah. There’s a lot more to say about it actually, I could go on. Benay: [00:18:46] There is so much in there already wow! Well if there is any other thing that you just feel like must be in this episode for our listeners please do, throw it in. Erin Ashley: [00:18:54] Great I will! Benay: [00:18:57] OK tip number two to be grounded and centered before your coaching session. Erin Ashley: [00:19:04] Yeah well tip number two is what’s been really helpful for me over the years is developing a mantra or an ‘I am’ statement that gets you into a command presence state. You know if you’re a Coach, then someone else has come to you looking for some support, or answers, or service right? Whatever it is that you do when you’re helping other people. And so you need to be in that centered and grounded space to be able to give and undertake the service that you’ve been hired to do. And so you know some…putting I am before anything that comes after it creates your identity. And so no matter how you’re feeling, whether it’s a lack of confidence, a lack of self-belief, overworked, overwhelmed, you know just busy, whatever is going on. Just reiterating and remembering some of those I am statements can just get you back into that command presence phase. Which is really when you’re at your best, you’re centered, you’re grounded, you’re back into you and operating from an authentic space. That’s I think we could all agree that that’s where we teach the best from right? It’s not when we’re trying to be somebody else or sound really clever or wise it’s just when things feel free and spacious and you teach from there. Some examples of I AM statements might be, I am confident, I am strong, I am a Coach, you know just all those things to lock back in who you are and how you want to operate and interact with other people. Benay: [00:20:51] Can I share what the one that came up for me right when you said that? I didn’t have a mantra. You know I think I have more now, but it just kind of came to me and I think I actually did this from one of my discovery caused this week, but until you said it I didn’t consciously realize that I had done it before the meeting. I am an intuitive treasure hunter. Benay: [00:21:13] It just came to me. Yeah, and it feels so good, it feels so me. Erin Ashley: [00:21:17] I do love that and the treasure hunter. The one ‘I am’ that I have is I am curious. And this is particularly useful when you’re coaching because when you think about what it means to really embody being curious, with judgements or preconceptions or previous expert ideas, it’s like your totally open minded and open to what’s right in front of you whether it’s what someone’s saying or what they’re doing and it comes loaded with kindness I reckon. When you’ve being curious you’re really interested and so, yeah that’s beautiful Benay. The treasure hunter That’s curiosity I think. Benay: [00:22:02] I love it, that came out of my passion mapping I do with Peter last weekend, this treasure hunter. Erin Ashley: [00:22:07] Brilliant, I’ve got to do this passion mapping. Benay: [00:22:09] It’s awesome, I’m interviewing him soon so listen to that one. Again, his number two. Okay, so let’s talk a little bit about the mantra so when you’re centering yourself how does this work with the breath? Erin Ashley: [00:22:21] Yeah great. So I always loved doing it after the breath, you know and whether you get one breath in, your three breaths in, take your conscious aware breaths and then throw a couple of ‘I am’s’ in there. You know whatever you’ve got time for. Sometimes it’s like you hang up on one call and you have to go, I was gonna say pick up the phone, but that’s a bit old school, talking about phones, you know dialing your next number you might just have time to notice your breath while you dialing in your next number. I know some paramedics for example, who are very short on time to ground and center themselves between clients and they used that walk from you know the ambulance to the patient. It’s almost like a walking meditation. That’s when they get into their breaths you know, with each step they breathe in and with each next step they breathe out. And you know, put in whatever mantras they want in that you know maybe five or ten second space and they can arrive to their patient, or we can think that like the client, just present, clear, centered, grounded and ready to serve. Benay: [00:23:33] Beautiful. And of course I love that because it’s a system approach you know, that you can replicate exactly every time. Its built into your natural flow that you’re doing anyway. Erin Ashley: [00:23:44] It is and the more that you do this you know, the more that you do start to make it your habit and that you start to get consistent with it and you know, you’ll notice that if you start with it and you’re finding benefit from it that you are feeling more centered and grounded. You know, then things are going great and sometimes then that’s when we start to drop off on using all these tools and strategies. And then you’ll notice that you’re maybe feeling off track again. You know not centered and not grounded. And then your mindful, remember it means to remember, so you remember to bring your tools and strategies back in. So you know things change in life as we’ve spoken about and that even applies to our own selves and our own habits and how consistent we are with our personal development and then not. and This isn’t about beating ourselves up for not being centered or grounded of course, this is just always working towards how can I be the best expression of myself in my life. That I know I’m here for a limited time. Benay: [00:24:48] And that’s one thing that I find so beautiful and refreshing and nice about the way you work in particular is your, it’s never about beating you up or noticing the wrong things, it’s more it’s more a celebration and an awareness and just the permission just to be you. And I really love that it’s really resonated with me and that helped me a lot in my journey right now. Erin Ashley: [00:25:13] Beautiful Benay, that’s music to my ears, that you’re getting so much out of it. Benay: [00:25:18] Yeah. It’s great. OK so let’s look at tip number three. Erin Ashley: [00:25:22] Great. So we’ve had tip number one about getting into your breath and tip number two you know, developing a mantra or using those ‘I am’ statements that get you into that command presence state, ready to coach. And tip three is to meditate. And really you could call these, you know the first two tips an of form of meditation. Yet I highly encourage you to start developing some kind of disciplined meditation practice in your life. So I mentioned the three-minute breathing space earlier on. You can call that a meditation. Three minutes. Not a problem. I mean you could call 10 seconds a meditation, it kind of doesn’t matter about how long you spend in meditation. It’s just about making a start to do something towards it every day. So if you’ve never meditated before or you’re unclear on exactly what meditation is, all it is, and you’ll love this Benay, is it’s a process. a lot of people think it’s you know you get a bit of a certain religion to meditate and that’s not accurate and that you have just sit in one spot and be really still to meditate for an hour you know, to call it meditation and that’s also not accurate. In fact, you know I teach people ways to actually meditate while they’re doing something else. Now there’s a difference between that and actually sitting in your seat of meditation, yet all we’re trying to do in both of these kind of meditations, is really just come back in to your body. This is the outermost layer of ourselves right, that we share with the world and that’s the outer most layer of ourselves in yoga we call this the Koshas, there the layers of our being. We’ve got the physical body on the very outside, your skin and bones. And often we’re not even connected with where we are in space, like how our bodies operating. Our mind has itself into the future and into busyness and into what needs to be getting done. And that’s what we feel really flighty and anxious, for example. Or often the minds taking you back into the past and replaying all the bad stuff that’s happened you know, depending on your perspective. And so that you know this sort of stuff can lead to depression if you get stuck in stories of the past that you feel bad about. And so meditation is all about coming back to the middle of that bandwidth and you start with your body because this is the outermost layer of you. and The next layer is the breath. And we’ve spoken about that, this is your energetic layer. And then you’ve got a few other layers until you can really tap into your authentic you, in that space where that centeredness and groundedness comes from. So this is the You know, the mind space, the mental activity. Then we start tapping into more intuitive places like wisdom and bliss. They’re the Gateway portals to you know, the true you, the authentic you. And when you think about how the true you and you’ll know what that means when I say that like, who is the real you, the authentic you? When you think about who that is, is that a stressful person, or is that an unhappy person, or you know a super busy person that’s overwhelmed? Well, no it’s a person that’s calm and peaceful and inspired and loving and curious and, what did you say, treasure hunting. Erin Ashley: [00:29:13] Yeah. And so really that’s all meditation is. It is about getting back you know, through dusting off these layers about being in the dust that collects on them through the busyness of lives and coming back to your true self. So that then you can head back out into the world in your interactions with other people, in your coaching, and in your relationships, from that space. And most importantly this is the best relationship course you can do with yourself to improve the relationship that you have with you too. So meditation. Benay: [00:29:53] So I am mean I love this one for the coaches, I know from the coaches who are in my online Coach Entrepreneurs private Facebook group, I asked about morning rituals and stuff and I was amazed at how many of them already had some really awesome practices, which include meditation every morning. I was so impressed. But I know, because I’m one of those that has only just recently started doing it since I’ve basically met you, that you know, such other coaches out there you know, they don’t have time to meditate. So for those people who are just starting out, can you give us just some tips about how you make the space for it? How you make it fit in your day? What do you do? Like where do you have to sit? You know, how do you start? Erin Ashley: [00:30:35] Sure. And I’m so glad you brought that up because that is the most common thing I hear, that I don’t have time to meditate. Benay: [00:30:44] Which is so funny. Erin Ashley: [00:30:46] It is funny, and I always say well do you have time to feel bad? I could have inserted a swear word there but I won’t. Do you have time to feel bad? You know I mean, the meditation, while we don’t go in with any aim it’s like a natural way just to cleanse yourself and reset yourself and get back to being the authentic you. So I always start with that. And then, ok, so how would we start with a practice of meditation. Well you know, first thing in the morning is great, like a lot of the Coaches are already doing because it really helps to start to set up your whole day ahead from that space. So you might notice even as soon as you wake up in the morning that there’s a thought that pops into your head instantly. In fact, I recommend that you start to notice what that thought is because it’s going to tailor the whole rest of your day, whatever that thought is you know depending on whether it’s negative or positive. Or it might just be the same repeated thought that you’ve woken up with for the last 20 years who knows. A lot of them are just habitual patterns. And so if we meditate, I recommend getting up out of bed and just you know waking yourself up a little bit first. You know whether that splashing some water on your face, having your shower, have a cuppa first, and then just spend a few minutes in a comfortable seat, it can be in a chair, if your sitting down you know, it can be cross-legged. Just make sure that you place some cushions around you and really support yourself and make yourself comfortable, because if your body’s going to be uncomfortable sitting there in meditation there’s no way you’re going to be able to penetrate into those other layers that we spoke about, you know the breadth and the mental body and the wisdom et cetera. So just find a comfortable seat I mean I often sit out on my deck, just in my deck chair. I try to make sure I’ve got a cushion behind my back just so my spines nice and straight. just So the energy body can flow nice and freely. And then if your starting out, use a guided meditation. You know. It’s always just really helpful just to notice your breath. I mean you know what let’s call just those three quick breaths that we spoke about at the beginning of this recording, let’s call those three breaths a meditation. And you can even start there. Might just take you, I don’t know 45 seconds or something, depending on how quickly you breathe. So that could be a great start. And you know the more… It’s like any other habit. So if you’re a process person like Benay and I, you might have a little task check sheet or to do list that you do every day, write down meditation on that. Put it in the calendar. You know make it an important meeting, like as important as any other kind of meeting that you’ve got like one that’s set up with a client, a paying client for example. You know this is like you coaching you again. And so schedule it in. You know tick it off that you’ve done it. Make it a new habit. And once you start meditating too, always celebrate any successes of it. Like the mind will naturally want to go into ah, I think I’m a bad meditator, or I don’t think I’m breathing right, or it’s just not for me, I’m just not good at meditation. Like all that. Wipe that away and celebrate one thing that you’ve done well you know celebrate the fact that you’ve even meditated maybe. And then celebrate the fact that maybe you got clear on a thought, or an insight on something, or you just noticed your breath and remembered that you’re alive and how grateful you are for that. Something that’s going to link up the positive association with so you want to keep the habit in there. Benay: [00:34:40] Really really good stuff. I’m just dying to share my story, since I’ve you know only really recently started this yesterday. OK. I would like to do that. Can I have permission? Erin Ashley: [00:34:52] Absolutely, I want to hear your story. Erin Ashley: [00:34:54] I don’t know if I know it. I want to hear it again anyway. Benay: [00:34:57] Well I started with a couple of your guided meditation, because I didn’t really know what to do. I live with my partner who’s like you know black belt ninja and he like you know sits on this specific pillow and you know it looks beautifully poised and you know does the whole 15-minute thing and like so it’s really a different practice that he does than what I’m attracted to. So I really didn’t know how to start, like what was my way of meditation. So meeting Erin and meeting you Erin, and then doing those guided meditations and you trying different spots like sitting in my Office or sitting on the couch or laying on the couch. Eventually I’ve found my position, I realize I love shavasana, just lying on the floor. That really works. Erin Ashley: [00:35:40] Yes. Thank you for mentioning that. That’s one I didn’t mention, lay down. Benay: [00:35:44] I love that one. Just like You know just all out. And then from the guided meditations I was listening to I kind of was able to string together., OK well I’m going to do seven of these breaths and then if my body feels like doing more, I do more. And I let it come in through tummy and up through my chest and then I just watch that. And that really helps. Like you said, noticed my thoughts in and out and then I do a body scan and then usually my five minutes is up before I’ve even reached the head you know. So I’m like wow. So I’m kind of ready now to go to seven minutes I think. Benay: [00:36:17] That was my little my little evolution that’s been happening and I’ve put it I can’t… Yeah I find that right when I wake up it doesn’t work for me so I make sure I do it before I’m allowed to sit in front of my computer now. And that’s really great, except I don’t end up doing the weekends. Erin Ashley: [00:36:30] Ah yeah. And look if you know, I mean main aim for every day and if it doesn’t happen like you know things change in life. If it doesn’t happen then don’t beat yourself up for that. Like that’s only gonna Lock in you know, displeasure with what you have been doing before that. And you know it’s like when you start a new way of eating, we’ll call it a diet and you going so well and then you know you have an off day and you’re really beating yourself up for it and kind of you just don’t want to go back onto the diet like you don’t want to have to experience that failure again, or that perceived failure. And so it’s the same with meditation. I mean even myself as a meditation teacher you know, sometimes there’ll be like days or I’ve even had weeks where I haven’t meditated you know. Just change that comes up in life. And instead of beating myself up for it, I’ll just remember that that’s something that really helps me to click in to the authentic me in life and operate in a way that I know I’m destined to operate. So hey tomorrow get back in your seat of meditation and off we go again. Erin Ashley: [00:37:58] Oh absolutely and congratulations to you Benay on your practice. And you’re just shining and you know, you see it. You know when I saw you last night at the event, you’re just there’s a glow about you. And when people are in tune with their authentic self, this is the beauty of meditation, to help you tap into that space. It is like a glow of light around them and you know you’re attracted to that. You attract people to you. You might notice even when you’re in your authentic self and you’re walking along a street with confidence that people look at you differently. It’s like they pick up on something, it’s an energy field, it’s a frequency and you know compared to days when you’re in your head and replaying stories and walking down looking at your phone, I mean you know you’re just another moving object in the street. Erin Ashley: [00:38:53] Shine bright. And that’s exactly what you’re doing Benay. Benay: [00:38:56] Oh thank you, thank you. And thank you so much Erin for bringing this gift and these skills and even if it was a reminding of the coaches who may be practicing this already, thank you so much for sharing that today. You know if there’s just one action or something that people can do as a result of having listened to our discussion today Erin, what would you like that that takeaway to be for our listeners? What would you like for them to take away? Erin Ashley: [00:39:25] So the takeaway message is be authentic. Like maybe make that one of your ‘I am’s’. I am authentic. I’m authentically me, is one that I have. And then the actions will naturally drop out around that. If you think about what that takes for you to be the authentic you know, for me it’s getting back to my breath, developing my mantras, and ‘I am’ statements and meditating. That helps me to stay in line with me. Take away message, be authentic. Benay: [00:39:58] Yeah and I mean by being authentic now, you will do things that will get you the results that you seek. Right? Benay: [00:40:07] The be-to-have model which coaches know and I was reminded of again last night with some great talk with Kurek and Erin. We do need to wrap it up Erin, but before we do that how can people learn more about you and your work? Do you have any cool things that people can hook into you to progress their meditation and mindfulness in their life? Erin Ashley: [00:40:30] I do. I have just released a five-day meditation challenge. You can sign up to on my Web page. So if you go to erinashley.com.au and you’ll see the five-day Meditation Challenge on there. just pop in your details and I will support you through five days of meditating. And you’re going to get two meditation audio’s sent to you from me that will be yours to keep forever to support you during those five days. So even if you’re a well versed meditator, do this meditation challenge to just so you get something new out of it to support your meditation practice. And it’s great for beginners as well. Benay: [00:41:19] That’s wonderful. So for everybody who is ready to have the mantra I am authentic now, join that meditation challenge so that you can be that congruently. Okay and be ready to serve, support and nurture your amazing coaching clients and grow your business at the same time. I think we’re going to wrap it up there. Erin thank you so much for being on the show today. Erin Ashley: [00:41:47] Benay thank you so much for giving me the opportunity. And it’s been fun. Benay: [00:41:53] It has been. And thank you listeners as always were listening to Coach Pep Talk. I would really appreciate it if you could go and like this episode in iTunes. Your Likes send a great karma to the show and help us keep up doing this great work. Have a great day everyone. And happy coaching.